A difficult month of November got even worse for Infinium Labs (OTC:IFLB) shareholders today as CEO Kevin Bachus resigned amid rumors of his involvement in a fax scam. 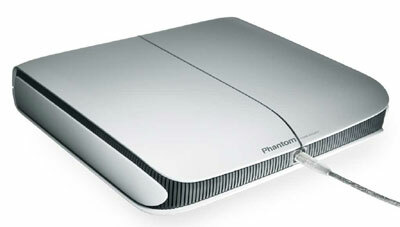 Instead of enjoying a holiday launch of their much-anticipated Phantom video-game console, the company now appears to be the verge of bankruptcy. Last week started with great enthusiasm. Earlier this year, CEO Kevin Bachus indicated that Infinium's Phantom®, a cutting edge online gaming service, would launch soon after Microsoft's Xbox 360 on November 21st. But on Tuesday, Infinium delayed the filing of their quarterly 10-Q. Friday followed with an 8-K filing disclosing Kevin Bachus' resignation from all duties with Infinium Labs. It gets worse. After today's market close, dozens of previously undisclosed insider transactions of Mr. Bachus were released to the public. Many of these insider sales occurred late last year during the infamous "pump-and-dump" fax scam that ex-CEO Timothy Roberts is currently being questioned for. The SEC requires officers and directors of public companies to file a Form 4 shortly after stock sales. Yet these insider sales, whose disclosure are essential in keeping the investors informed of the insider's actions, were never disclosed until today. Earlier this year, we discussed in length whether the Phantom was fact or fiction. The events over this last week show that Infinium Labs' journey may be over. If these recent events were no indication, then today's failure to file the 10-Q after last week's extension shows that Infinium may be headed for bankruptcy or the pink sheets. Kevin Bachus makes Timothy Roberts look like an ept and honorable CEO. In 6 months, he did absolutely nothing to help IFLB gain funding or launch the Phantom. It looks like IFLB is now IFLBE, well on their way to the pink sheets. They missed their extended 10Q filing deadline last week. Game over? site & blog about loans center. Congratulations Friend for your excellent blog on loans center!Keep up the good work!